The cost and supply constraints of electric batteries are the most limiting factors for the wide scale introduction of electric vehicles. The current battery technology used in hybrid vehicles has reached a high maturity but also many limits. 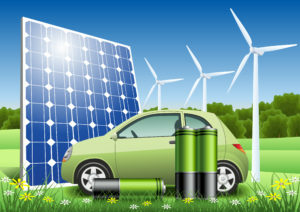 A new affordable and efficient generation of battery is needed to increase the use of greener energy storage and improve energy efficiency. Innovation: EARTO member LEITAT is leading ALISE consortium, aiming to develop a new battery that will reach twice the energy storage of current technologies by incorporating nanotechnologies, chemistries and advanced materials together. ALISE will bring significant improvements in usability of hybrid and full electric vehicles with longer driving range, safer battery and longer battery life. Impact Expected: With mass production and by taking advantage of recycled material used in its development, the ALISE battery may be developed at competitive cost compared to actual technologies. The battery should be integrated in a passenger car and tested on circuit by 2019 and sold on the market as of 2021, with expected sales of €150 million by 2023.